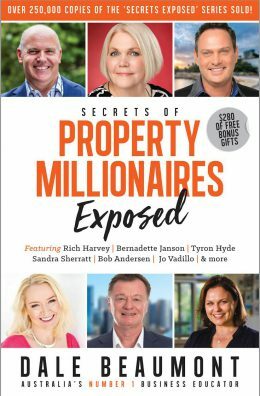 Would you like to go inside the minds of the country’s most successful property investors? Would you like to learn how they got started and how they turned a few thousand dollars into multi-million dollar property portfolios? If so, this book is for you! Join author Dale Beaumont as he asks all the big questions and gets you the answers you need to achieve personal and financial success.